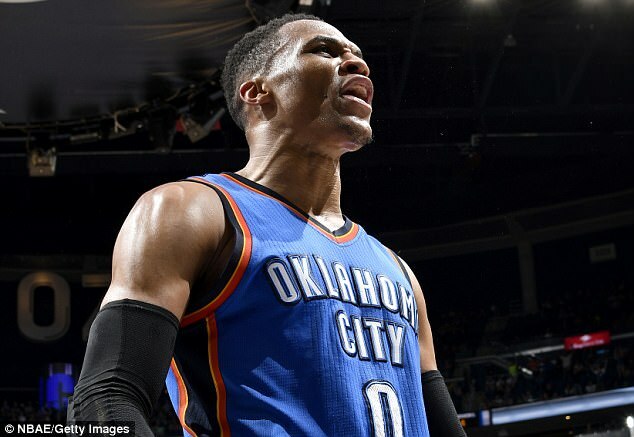 Russell Westbrook recorded the highest-scoring triple-double in NBA history on Wednesday night, totaling 57 points, 13 rebounds and 11 assists to lead Oklahoma City Thunder to a come-from-behind, 114-106 overtime road victory over Orlando Magic. For Westbrook, it was just another day at the office as he compiled his fourth consecutive triple-double and his 38th of the season, leaving him three shy of the NBA record held by NBA legend Oscar Robertson. The 57 points were one short of his career high. 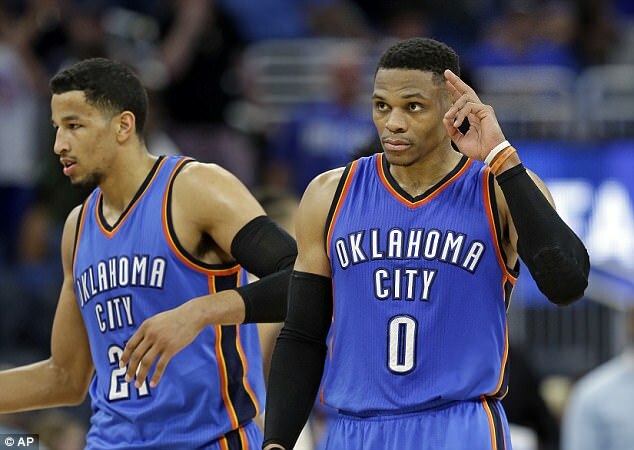 The Thunder (43-31) have won eight of the last 10 games. Westbrook scored 16 points in the fourth quarter on Monday when OKC erased a 13-point deficit in the final 3:31 to win in Dallas. He scored 19 points in the final six minutes of regulation to force overtime on Wednesday when the Thunder erased another 13-point fourth quarter deficit. 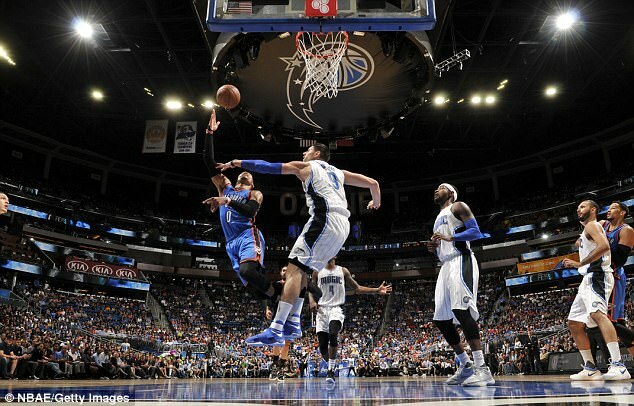 ‘Russell was spectacular coming down the stretch and the way he closed the game,’ Thunder coach Billy Donovan said. Westbrook hit 21 of 40 shots and six of 15 three-pointers. He made nine of 11 free throws. 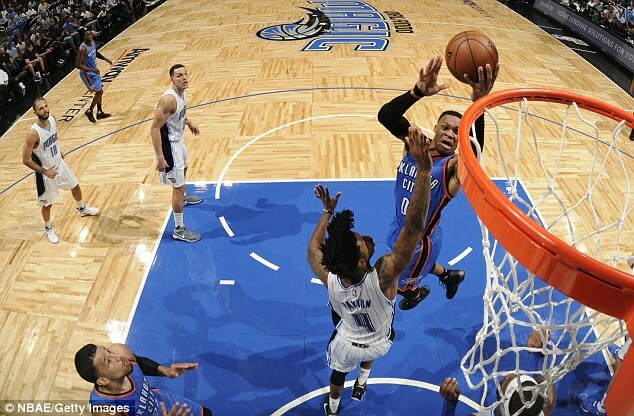 Westbrook scored seven points in overtime and, until Westbrook’s three-pointer, the Magic led the entire second half and led by as many as 21 points in third quarter.